COGA’s Energy Summit will run August 22-24, 2017 in Denver Colorado. 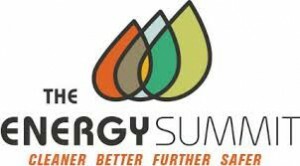 The Energy Summit proudly enters its 29th year with a focus on “Cleaner, Better, Further, Safer.” Over three days, speakers will explore the industry’s commitment to a cleaner energy future, strategies employed to position companies for better success, technological advances that take us further to energy security, and continuing implementation of practices that keep our industry safer than ever before. Registration is now open, make sure to take advantage of the COGA Member Discount and early registration pricing.